Upon arrival, transfer by shuttle bus to your hotel. 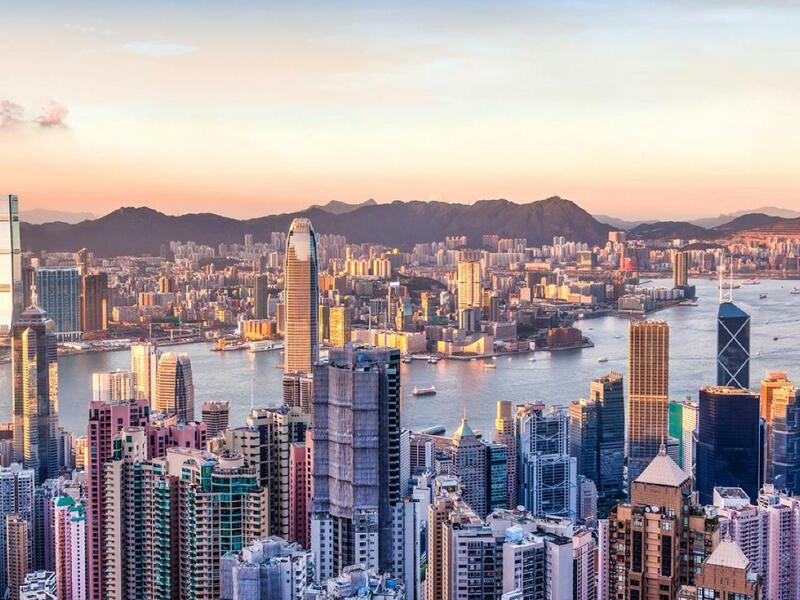 Enjoy a half day Hong Kong Island scenic coach tour to Victoria Peak to view Victoria Harbour and the South China Sea, followed by a visit to the Aberdeen fishing village, stopping briefly en-route at Repulse Bay. A pre-dinner cocktail cruise will be arranged this evening. This morning, enjoy the city of contrasts at your leisure, businessmen in pin-striped suits rubbing shoulders with elderly men taking their songbirds for a walk; of classic double-decker trams sharing the bustling streets with luxury limousines; of early morning joggers passing groups practising Tai Chi; and of street-side food stalls crouching beside Chinese restaurant. Transfer by shuttle bus to airport.